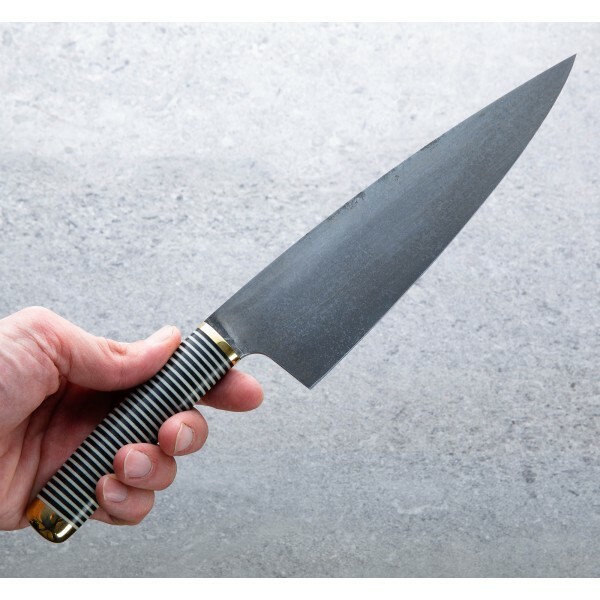 The F4 chef knife from Florentine Kitchen Knives in Barcelona, Spain, is available exclusively in black & white micarta discs which form the hallmark 'stacked' handle design that Tomer Botner's knives are well known for. Oval in profile and gently curved with cast brass pommel and ferrule, the supremely comfortable handle offers excellent control of the 210mm / 8.27" carbon steel blade that arrives with a razor-sharp edge and forced patina for protection, and good looks. 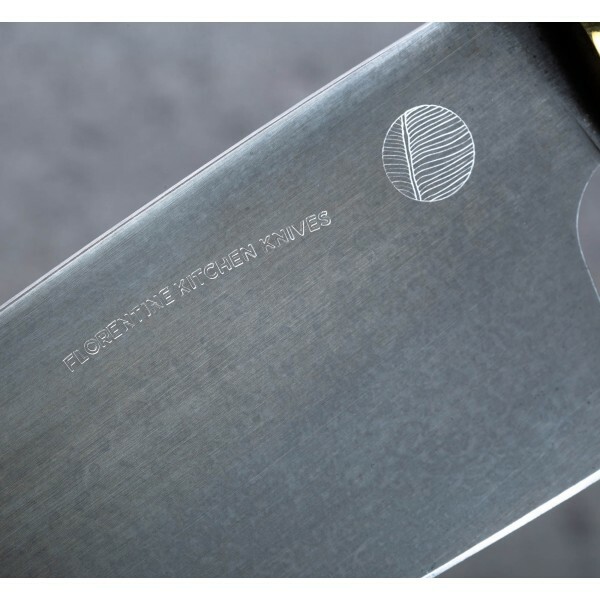 Standing 57mm tall, versatility and balance define the F4 design that performs beautifully on the cutting board, whether rocking, slicing or handling more precise tasks with it's tapered, needle-like tip. 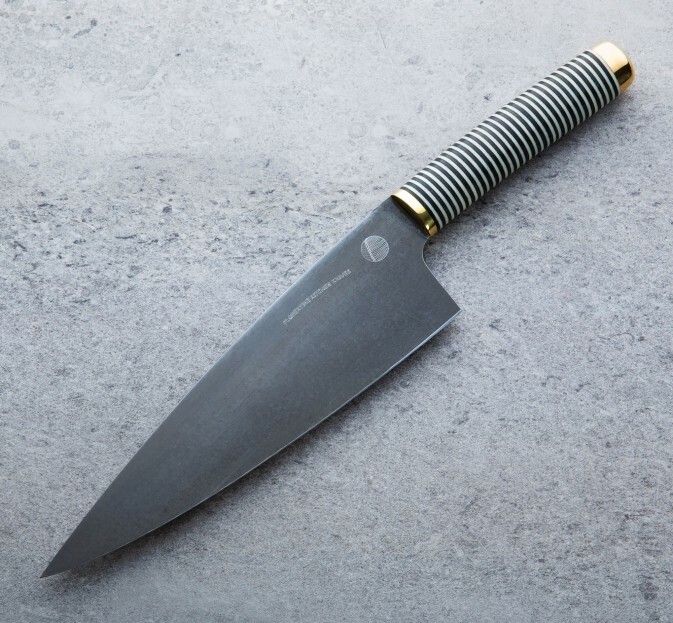 An outstanding every-day prep knife for home and professional kitchens. 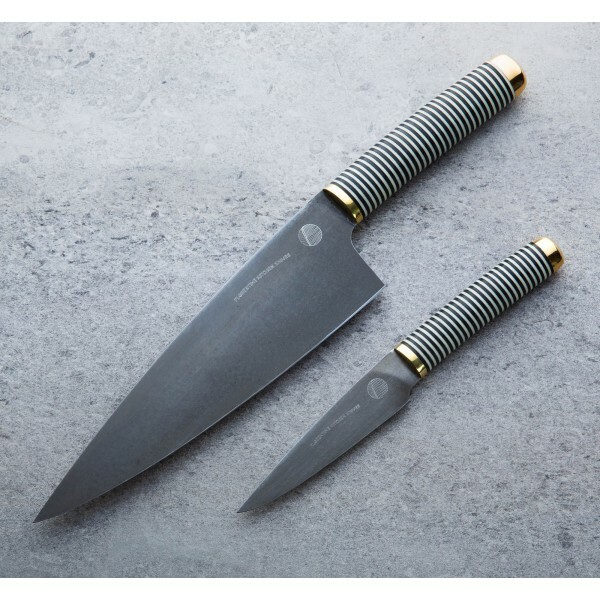 Makes an outstanding set with the matching FKK Paring Knife. 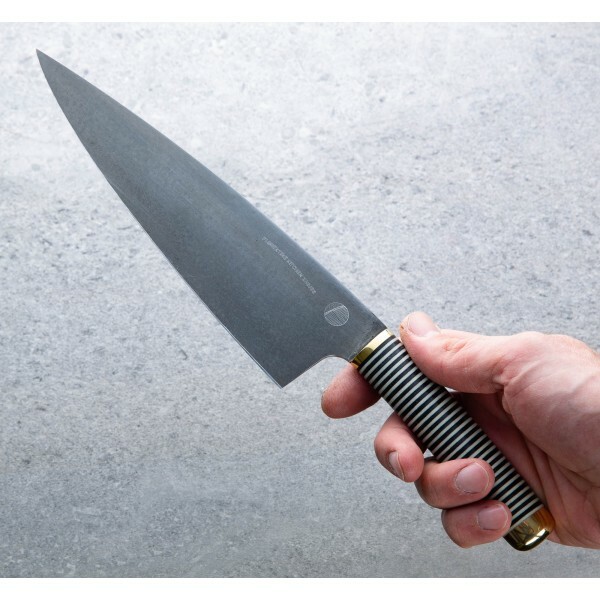 An integral part of the current Florentine Kitchen Knives collection of cutlery and culinary accessories designed by Tomer Botner, the chef knife is back with the new F4 profile. An outstanding cutting tool made from French XC75 carbon steel and produced in small batches and hand-finished in Spain. Blade: 205mm / 4.5". Overall Length: 335mm / 9.5". Blade width above the heel: 3.0mm. Blade width one inch from tip: 1.47mm. Blade height: 57mm. Weight: 8.4oz / 238g.  Blade: Fontenille Pataud XC75 carbon steel hardened to HRC 60. 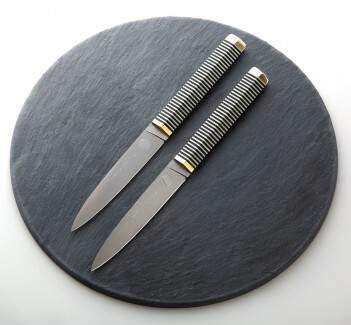 Handle: Black & White micarta with cast brass pommel and bolster.